Despite a title that sounds like a thriller or action vehicle of some sort, The Escape is as minimalistic as filmmaking gets. It is a character study that only allows us an outside view of the character. Although we spend nearly all of the running time with a single character, it is possible to get to the end of the film without having much insight into what is going on internally. 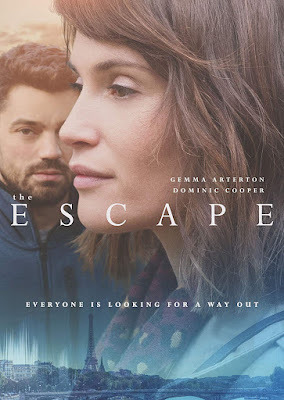 The Escape is singularly focused on the depression of a mother and wife in London, but it only allows the audience a surface view of the emotional distress, and the result is often less than sympathetic.